Interested in buying a ToughGuard20 fence? Make sure you know the answer to these questions while ordering so we can bring your design brief to life. Are you trying to match an existing style? 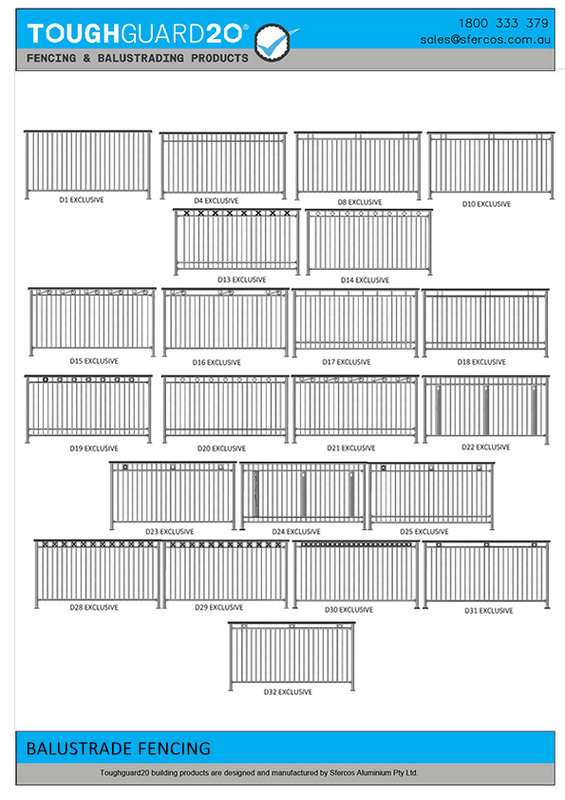 We can match the design of any pre-existing fencing designs. Please put together some photos and measurements of the current design so we can begin working with you on matching your pre-existing fencing. What length and height would you like your fence to be? Our powder coated aluminium fence panels come in standard lengths of 2400mm. Choose between heights of 900mm, 1200mm, 1500mm and 1800mm. Does your fence require a gate? If yes, will it need latches and/or hinges? Yes/No. Please let us know whether you require a gate and if so, if the gate will need latches and/or hinges. What colour would you like your fence? Select any colour from the Dulux powder coater range to apply to your fencing project. 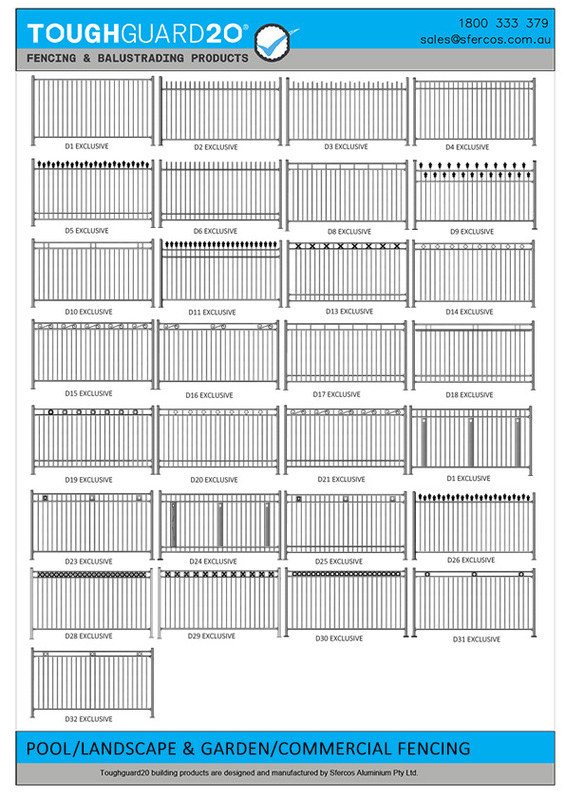 What style would you like your fence? Please see the style guide below and let us know which of the ToughGuard20 vast style options you would like for your fencing: D1-D32. What is the total length of fencing needed? Please provide the details of the total length of fencing (or the perimeter) so we can ensure that your fence is the perfect fit. What size posts are needed? Our posts come in sizes of 50mm, 75mm or 100mm. With these measurements specify the length and width of each of the posts.